After 10 years of performing with one of Latin music’s most award-winning bands (Calle 13), the Puerto Rican vocalist Ileana Cabra is launching her solo career under the artistic moniker iLe. Her first album, iLevitable debuted at #1 in US Latin’s Top Alternative Albums in digital stores and #4 overall Latin Albums. As she continues to promote this amazing album and her latest single, “Te Quiero Con Bugaloo,” we had a chance to chat with her over the phone about what this first solo project means to her. iLe, who was amazing to speak with, describes the recording of her debut album as a true manifestation of her emotions, ideas and creativity. We talked specifically about the recently premiered the racy music video for “Te Quiero con Bugalú” (I Love You With Boogaloo), the second single from her debut album iLevitable. 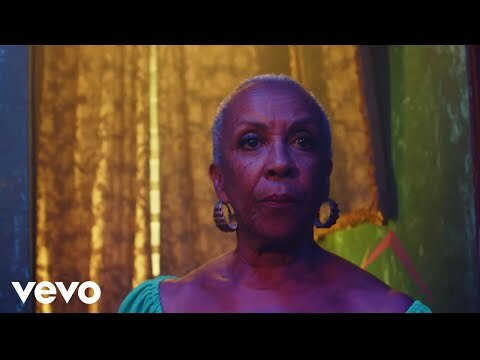 The video follows the story of a woman born in the Baby Boomer era who makes a connection with her partner through music and dance. She expresses her carnal desires to him under the condition that their relationship is only to be based on their musical passions, as it becomes clear that they aren’t meant to live together as a couple. The colorful and steamy video is steeped in magical realism. It was directed by Kacho López and Filmes Zapatero, based on a concept by Milena Pérez and Gabriel Cabra. Starring Awilda Sterling and Mariano Haddock, the clip was filmed at the Asere Restaurant in Santurce, Puerto Rico. iLe also shared how that this always was recorded over several months in local Puerto Rican studios and features upwards of 75 musicians, composers, and arrangers including iLe’s brother Eduardo, her sister Milena, her father Joey Cabra, and Ismael Cancel, her co-producer. It was a pleasure speaking with iLe and we highly recommend you check out this spectacular work she has produced!